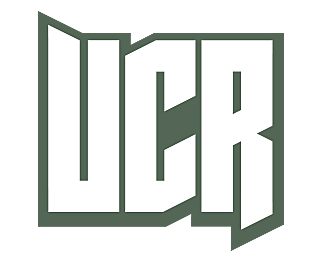 This slot was a point of contention among the UCR staff, when considering the last three full Rush studio albums released to date. The initial impact of 'Vapor Trails' suffered due to sound quality issues, but if you put 'Test for Echo' and 'Snakes and Arrows' up against each other, it's a dead heat. In the end, the emotion surrounding Rush's continued output of new music with 'Snakes' wins out. The initial single 'Far Cry' confidently validated that without a doubt, Rush had returned, offering a very immediate reminder of how vital their music remains in the present. Rush's first album of the '90s found the band sending the keyboards further back in the mix as Alex Lifeson's guitar regained its deserved prominence. The title track injected a spoken word rap, somewhat controversially, into the otherwise familiar realm of what had previously been expected from a Rush album. After shifting stylistic phases throughout the '80s, 'Roll the Bones' firmly planted the Canadian veterans back on solid ground for an album that was generally well received by the Rush fanbase. With 'Permanent Waves,' the band began to drift away from their harder-edged sound, slipping into a more radio friendly frame of songwriting. 'The Spirit of Radio' seemingly is a celebratory pat on the back for the entertainment medium of the same name. As drummer Neil Peart explains, that feeling exists at the core of the song, but it also laments the formulaic and soulless programming methods that were starting to rob radio of the once-great spontaneity enjoyed by listeners. How do you follow up the most successful album of your career? If you're Rush, seeking to match or surpass the success of 1981's 'Moving Pictures,' you dig in and put out an album that's more musically focused, with shorter songs (alas, they couldn't all be '2112' length epics, apparently), while continuing to experiment with the evolving keyboard-heavy sound that the band embraced during the '80s. One of the album's best known tracks, 'Subdivisions,' began as a song that Neil Peart first jammed with members of the road crew during the 'Moving Pictures' tour before bringing in the rest of the band. The fifth Rush album ushered in a couple of firsts: 'Closer to the Heart' was the first Rush song co-written with a non-band member, and it also gave the band their first hit in the U.K. As a perennial fan favorite, it's been present in nearly every tour setlist, with only a few exceptions. 'Closer' was omitted beginning with the band's 2002 tour, a move that caused great consternation amongst Rush fans. It turns out, the band just needed a break from 'Closer to the Heart' after playing it consecutively for so many years. It finally has seen regular action again as part of the current 'Time Machine' tour. Continuing the story that began at the conclusion of 'A Farewell to Kings,' Rush devoted the entire A-side of 'Hemispheres' to the second part of 'Cygnus X-1.' 'Book I' at the tail end of 'Kings' laid out the initial part of the story in 10 minutes. For 'Book II' on 'Hemispheres,' Rush would spend an additional 18 minutes fleshing out their mystical storyline. The epic dual suite probably isn't the best starting point for anyone trying to introduce a friend to the top Rush albums. But if you want to show off a bit of the band's musical chops, 'The Trees' makes for a nice and relatively quick (especially for the time period) excerpt. Listening to Geddy Lee's yowling vocals on tracks like 'Finding My Way,' (a point of contention with anti-Rush fans who find Lee's early vocals to be harsh on the ears), from Rush's 1974 debut is a “far cry” (intentional pun) from the overly polished sound that they've developed in more than 40 years as a band. For both their studio albums and live shows in the early years, less was often more, and the sound of 'Rush' closely reflects the band's live sound from the era. Plus, one only needs to hear a few seconds of the seven minute-long 'Working Man' to know that Rush were heading towards bigger places. The second Rush album brought the studio debut of Neil Peart as the band's new drummer and principal lyricist. Peart's addition was a game-changing move, giving Rush a clear direction with a rhythmic pilot who was more than ready for the challenges that lay ahead. As older musical aficionados will recall, the chimes at the end of 'By-Tor and the Snow Dog' were pressed into the runout groove of the first album side. For older turntables, this meant that the chimes would keep playing until the stylus was lifted. 'Moving Pictures' is obviously one of Rush's top albums, and that's at least partially due to the undeniable 'Tom Sawyer.' The classic anthem is certainly one of the great album opening tracks of all time, and the sonic punch its opening inflicts still sounds just as impressive as the first time that we heard it. Geddy Lee delivers one of his most famous lead vocals and the signature lyrical opening has us scratching our head, wondering how we left it off of our list of best opening lyrics earlier this summer. Unlike some ho-hum full album performances by other artists, the chance to see 'Moving Pictures' complete on the 'Time Machine' tour was a rare moment worth every concert dollar. But if you know Rush, you'll know that you always get your money's worth.